Dave Hill recently wrote an article about running nested ESXi and a gotcha with EVC (Enhanced vMotion Compatibility). In vSphere 4.x, you could not join a nested ESXi host into a cluster with EVC enabled. With vSphere 5, there's actually a way to connect a nested ESXi 5 host to an EVC enabled cluster AND still power on 64bit nested guestOSes. I have to thank my friend and partner in crime Tuan Duong for showing me this trick awhile back. 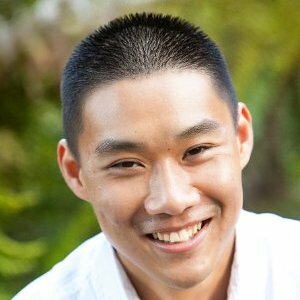 Tuan was performing some tests using both nested and physical ESXi 5 hosts and discovered this method after a bit of tinkering. At the time, I was not sure if others would find this useful and I did not document the process. Disclaimer: As usual, this is not officially supported by VMware, use at your own risk. 2. 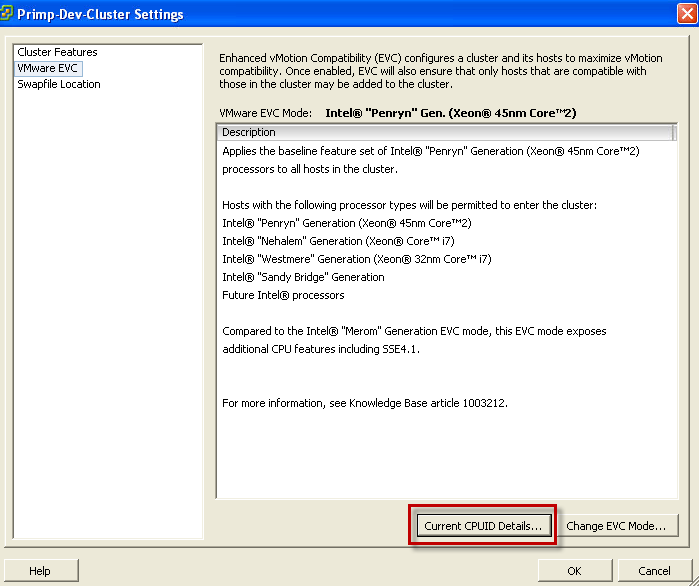 Create an EVC enabled cluster or use an existing cluster with whatever baseline you would like and click on the "Current CPUID Details" in cluster settings. 5. Go ahead and power on your nested ESXi 5 host and join it to the EVC enabled cluster you created earlier. 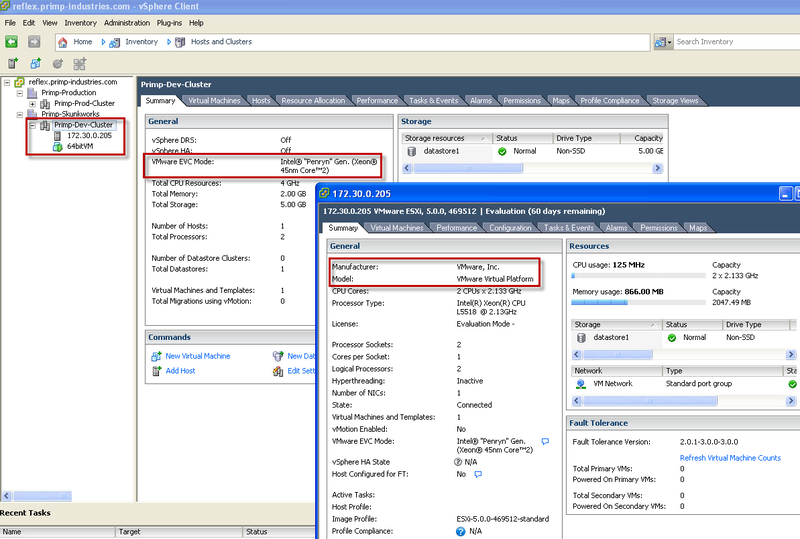 You should not see any errors when connecting to the cluster and after that you can create a nested 64bit VM within that virtualized ESXi 5 host. This is a great article. I just changed all my vESXi 5 systems that I use for vCD 1.5 over and enabled the Nehalem baseline. Worked a treat. Thanks so much for writing this William. Michael, Glad the article was useful! An unexpected error was received from the ESX host while powering on VM vm-2803. The processor does not support a required feature for this virtual machine. The virtual machine cannot be powered on. This might be obvious to some, but I struggled until I set my EVC mode to one architecture lower. I have Sandy Bridge Xeons that the web client says support Sandy Bridg EVC, but I had to select Westmere to get this to work. 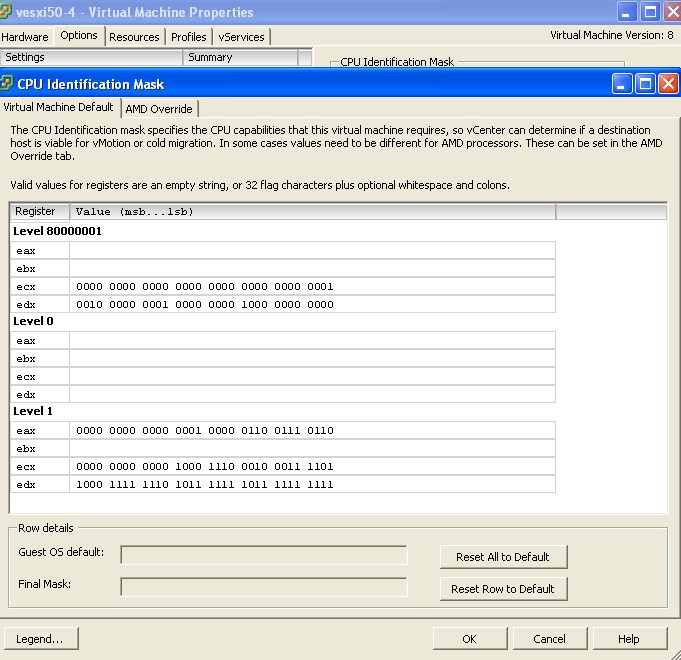 I was not able to get this to work – I have an Ivy Bridge CPU (i5-3750k). Is this supported with my CPU?